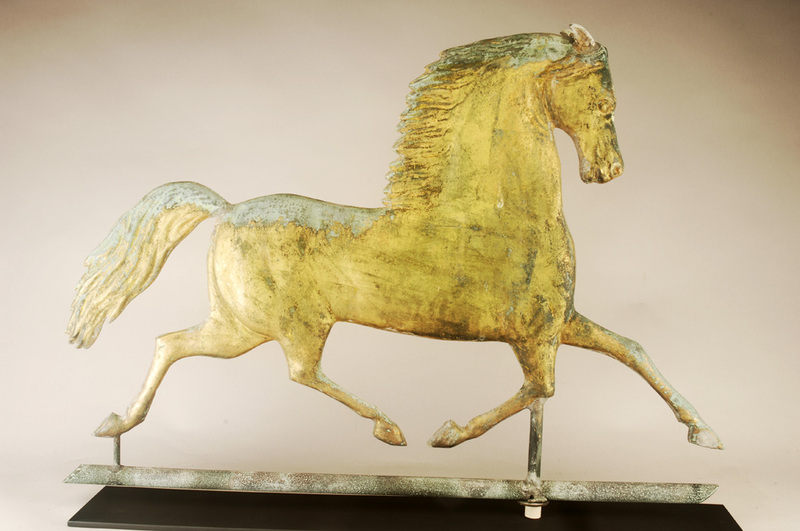 RJG ANTIQUES, Rye, NH russ@RJGAntiques.com 603-433-1770 Exceptional blackhawk trotting horse weathervane. Attr. to Harris & Co., Waltham, MA, circa 1880. Full-body molded copper with applied zinc ears in pristine original condition.